Looking to fix your driveway? 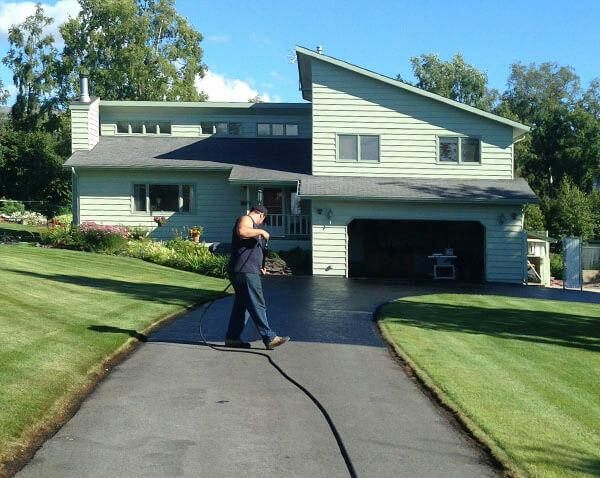 Nothing But Driveways specializes in repairing driveways and making them look like new and focuses on asphalt repairs such as cut-outs, patching, crack filling, and seal coating. We understand that asphalt work is a significant investment. That’s why Nothing But Driveways pledges to offer reliable service on every job we take. 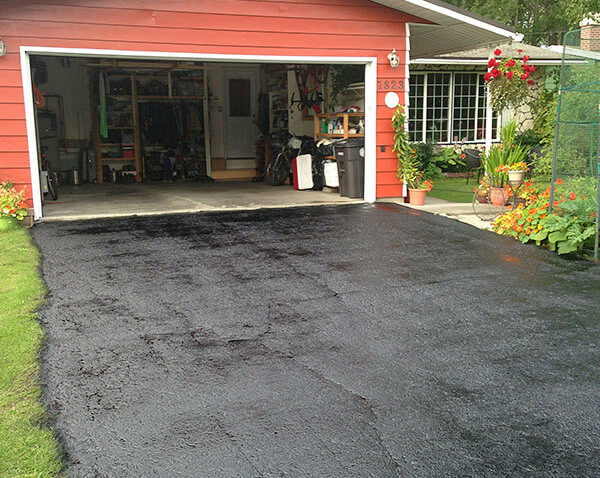 Our extensive experience of over 20 years of asphalt work in the Greater Anchorage Area and the Mat-su Valley. 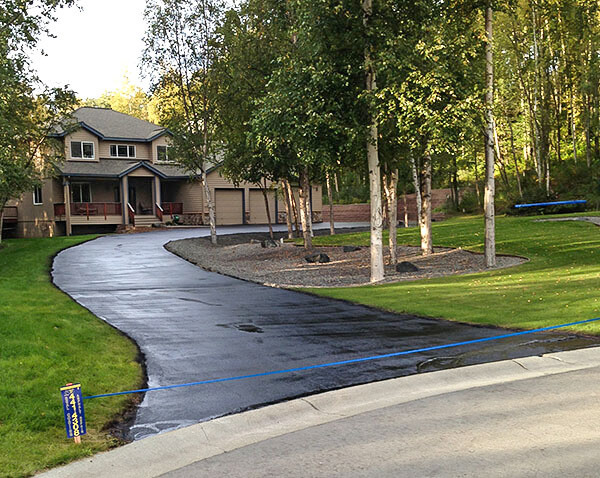 Our knowledge and skill in asphalt work is specific to the needs of Alaskan customers and what it takes to make asphalt stand up to the wear and tear of winter and other factors specific to Alaska. Our work is performed by licensed, bonded, and insured contractors. 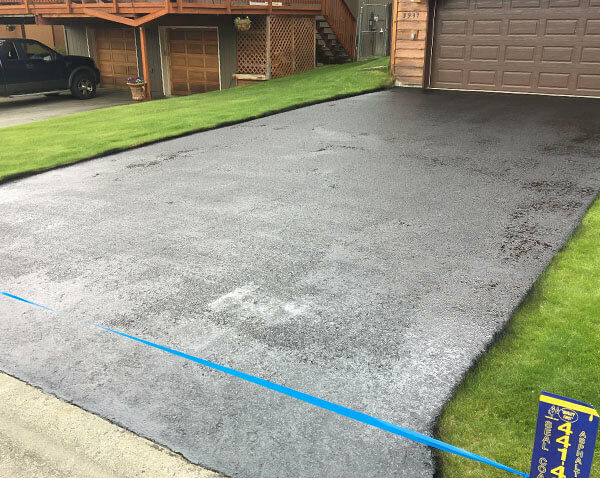 This means you, the customer, have your driveway in the hands of a great contractor who excels in asphalt repair and seal coating. Nothing But Driveways takes pride in our customer’s satisfaction which comes in part from outstanding workmanship and customer service but also knowing and meeting the customer’s needs and budget. Let us know what we can do to meet or beat any local quote. Nothing But Driveways takes pride in their customer’s satisfaction which comes in part from outstanding workmanship and customer service but also knowing and meeting the customer’s needs and budget. Fix damaged and uneven asphalt. Fill cracks and stop them from growing. Protect your driveway from the elements. 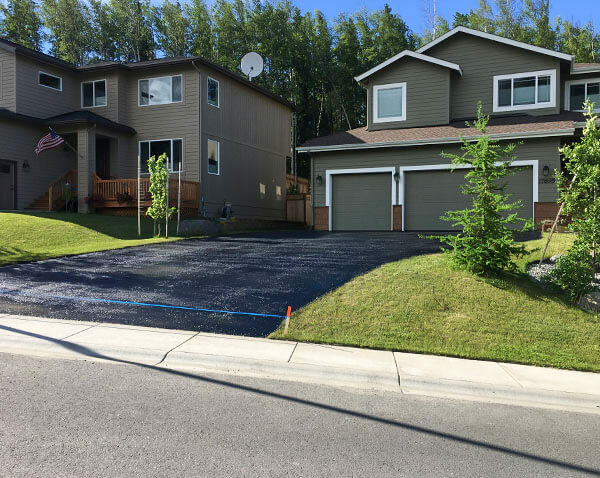 Nothing But Driveways is an asphalt maintenance contractor with over 20 years of experience making driveways and parking lots look like new around the greater Anchorage area and in the Mat-Su valley. Alaskan winters are tough on asphalt. With the regular freeze-thaw cycle, studded tires, plowing, and earthquakes, asphalt has a lot to stand up to. Small signs of wear and tear will eventually turn into cracks and potholes, even in driveways. The frustration of spring and summer driving doesn’t have to include your home or business. 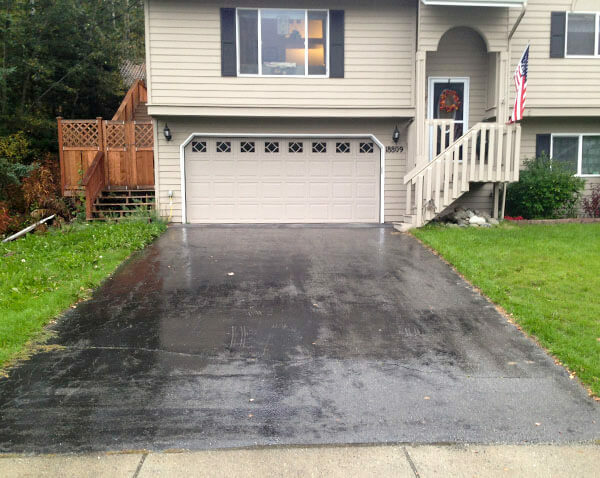 A well maintained driveway or parking lot looks fantastic and will add to the quality of a customer’s experience. Alaskan summers are incredibly short. If you’re fed up with a cracked driveway or want to improve your property’s looks, give Nothing But Driveways a call. Don’t let your family or customers endure another winter with a cracked and uneven driveway or lot. Loved the work. Good folks. Awesome work. High quality.